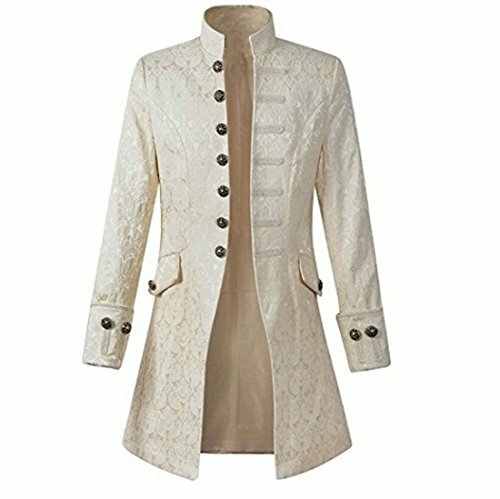 Vintage style knee-length frock coat in velveteen fabric. Open front with mandarin style collar, featuring decorative custom buttons to the right side, and ornate black military style braiding to the left. finished perfectly with decorative side pocket flaps with button and braiding detail and box pleating to the back. High Quality: Our garments choose the best material .It is a great costume women cosplay . The unique design that will make you the center of attention at any event! Color:There might be color difference because of different monitor. If you have any questions about this product by Nobility Baby, contact us by completing and submitting the form below. If you are looking for a specif part number, please include it with your message.